IB FIRE warns Businessmen of Scam going around San Diego Area at IB Chamber networking Breakfast today! IB FIRE warns Businessmen of Scam going around San Diego Area at IB Chamber networking Breakfast today! 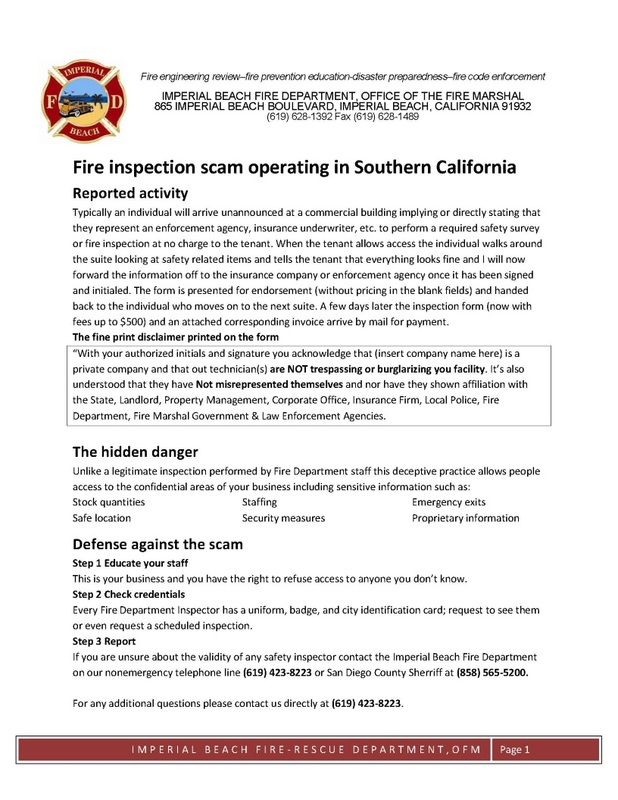 Thomas Santos, Assistant Fire Marshall for the Imperial Beach Fire-Rescue Department was at today's Imperial Beach Chamber of Commerce Networking Breakfast and spent time speaking about the scam (see document below) and the "Fill the Boot" drive coming up Wednesday march 2nd.